"Louis Louis Louis are the guests at Leeds Jazz Club April 5th which is my last night as promoter at LJC. So am looking forward to a real stomping show with lots of old friends showing their faces, it should be a real hoot. 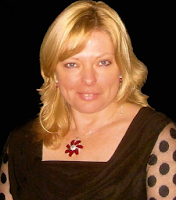 Next week Sarah Sharpe takes over full running of the club so come on down and find out whats afoot. 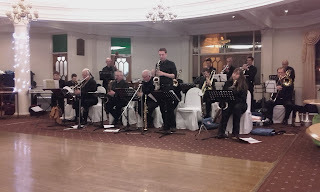 Last weeks band the Savannah Jazz Band played their cotton socks off, I don't think I have heard them in better form. So I come to the end of nearly fourteen years in the hot seat at LJC and I do so hope you give it all your support under the new management. I will still be down the Con club come Tuesday nights and I am looking forward to a great new scene. John Wall has been associated with the club since the beginning and in sole charge since 2002. As a guitarist and vocalist with his own groups; as the proprietor (now retired) of the well known John Wall Entertainment Agency and as a long time jazz promoter, John has the experience and the contacts to keep the club moving forward. He has been jazz enthusiast from the moment he heard the Original Dixieland Jazz Band belting out Tiger Rag on a 78 rpm which his brother Bill brought back from Burma just after the war (National Service). The highlights of his playing career include three trips to New Orleans with / in the “K C Moaners” in 1994, 1995 and 1997 (K C being Ken Colyer of course). 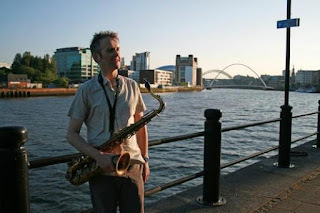 Malija with saxophonist Mark Lockheart, Jasper Høiby on bass and Liam Noble piano, will be starting their mini three date Yorkshire tour tonight in Leeds then playing in Sheffield and York. 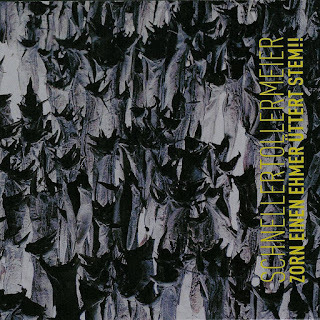 Described as original music with influences from bluegrass, tango and jungle grooves (or as Jasper Høiby put it “weird, simple, complicated, free, tight, floaty, ugly, beautiful and heartfelt depending on your mood”). 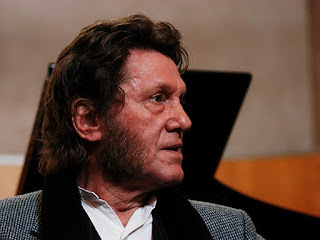 Composer/pianist Keith Tippett needs little introduction to those with an ear to the ground in the world of creative music. Appearing initially on the London jazz scene in the 1960's, Keith quickly forged a reputation as a formidable player, bandleader and composer. 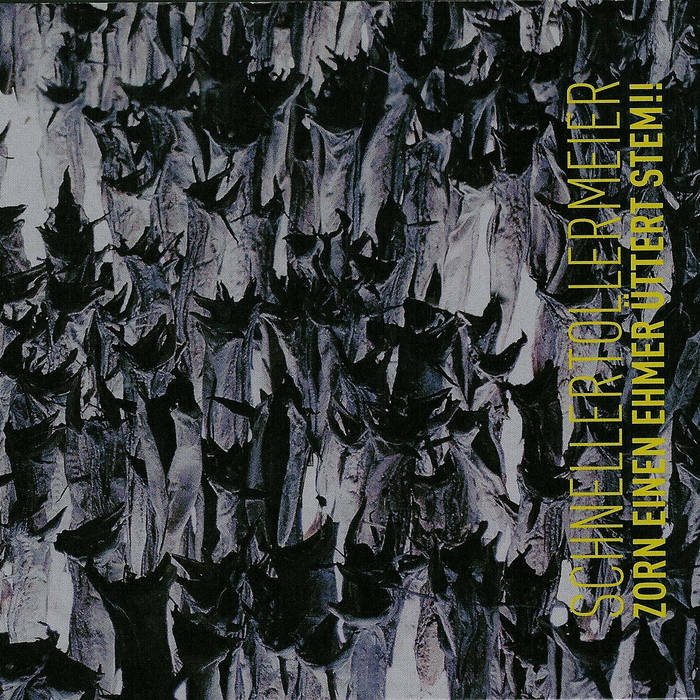 His large scale work Septober Energy for the 50 piece ensemble Centipede remains a benchmark recording in the history of this music. 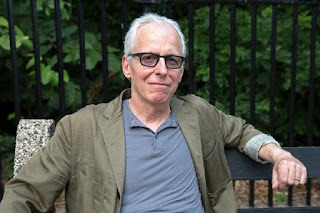 Subsequently leading ensembles as diverse as Mujician, Ovary Lodge, his duo work with Julie Tippetts plus appearances as an improvising piano soloist have consolidated his position as a major figure in both improvised and composed music. In 2016 he remains as active as ever on the international stage. The Nine Dances Of Patrick O'Gonogon was commissioned by Richard Wiltshire and was recorded by the Keith Tippett Octet at Real World Studio in the UK. 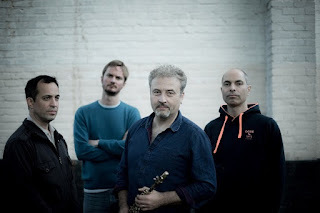 This new suite is based on themes from Irish folk music and was written for his new octet, which includes several recent graduates from the Royal Academy of Music’s jazz programme along with a long-time collaborator, the drummer Peter Fairclough, and the London-based Italian trumpeter Fulvio Sigurta. Alison Eastwood has had an interest in singing from an early age gaining an A in her music higher from Alford Academy before moving to Aberdeen College where she gained two musical teaching diplomas and a recital diploma alongside her grade 8 music theory. 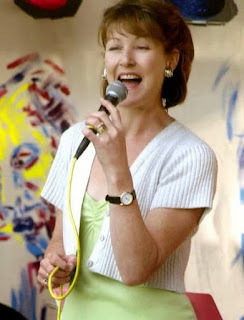 Moving to "God's own county" in 2003 Alison continued her musical training at Leeds College of Music studying with the renowned Mary Plazas and Lynne Dawson, with whom she still studies. 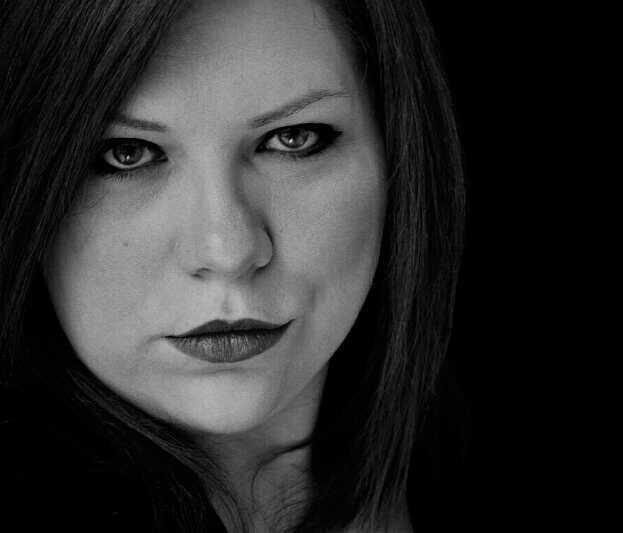 Whilst there she gained a BA (hons) in Music Studies and a Post Graduate Diploma in the same subject specialising in opera. Darren Dutson-Bromley studied both jazz and classical guitar in Leeds and has worked professionally as a performer ever since. In 1996 he worked for the Princes Trust where he performed with both Prince Charles and Jools Holland which led to a number of television appearances. I`m now able to confirm the personnel of this exciting band: the Quincy Street Quintet: Pete Major leading on piano; Paul Palmer, saxophones, John Morman, trombone; Laurence Canty, bass; and Peter Boocock, drums. We are promised two sets of jazz and swing standards and blues; and having seen this band I know it will all swing like mad. At Hornby Village Institute, Main Street, (A683) Hornby, Lancaster, LA2 8JR on Friday 8 April. Doors and bar open at 7.30, music from 8 pm. Tickets £10, available on the door or ring 015242 22227...do call, ( or e-mail me) it will be most helpful. P.S Remember our two pubs, the Castle Inn & the Royal Oak for a pre gig bite. Your jazz Co-op needs you! 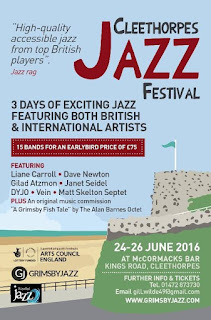 Gateshead International Jazz Festival is soon upon us. 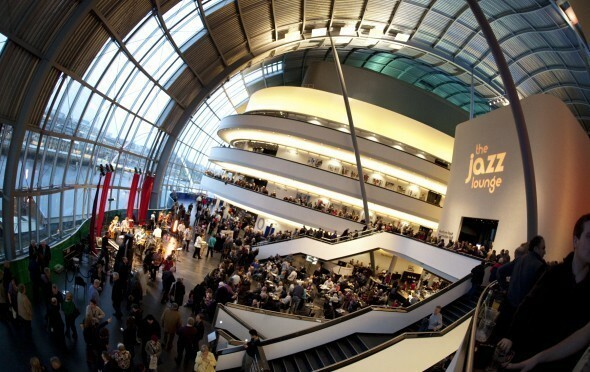 We are looking for some willing volunteers to help promote the Jazz.Coop on our stall on the concourse at The Sage the weekend of 15th to 17th April. We are hoping to attract new investors and promote our education programme and gigs. Sheffield Jazz be moving their main venue from Millennium Hall, on Ecclesall Road to a new larger venue this autumn. From Neil Pepper "As you may have heard or noticed, the Social Club which operated next to Millennium Hall closed and the steward, Shawn, left at the start of January. 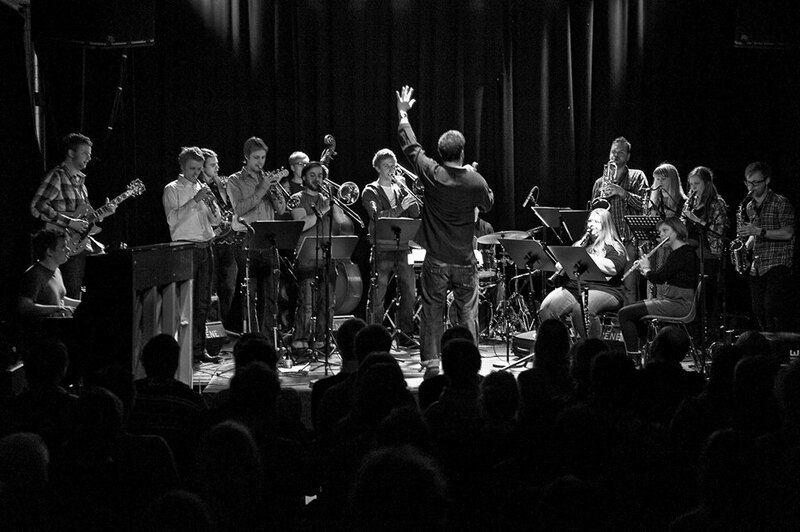 Although arrangements have been made by the Polish Catholic Diocese to keep the venue going until the end of the Spring 2016 season the situation has been far from ideal and major uncertainties remain about what the future might be and whether the Hall’s use as a jazz venue is compatible with the future uses of the rest of the building. This has made it impossible for us to plan with any confidence to remain there. After much thought and research we have therefore decided to move from the start of the Autumn season to move to a new venue: Crookes Social Club. The Club has a very good and comfortable concert hall with an excellent bar and other facilities. Nearby Crookes Road is well served by buses (52 and 52a) from central Sheffield. They are very keen to have us and we look forward to working with them"
Sheffield Jazz's last gigs at Millennium Hall will be Tom Cawley’s Curios Friday 22 April, Vein Trio + Greg Osby on Friday May 6th and finally American born alto sax player Allison Neale and her quintet (Allison Neale: saxophone with Nathaniel Steele: vibes; Leon Greening: piano; Julian Bury: bass; Steve Brown: drums) on Friday May 20th. 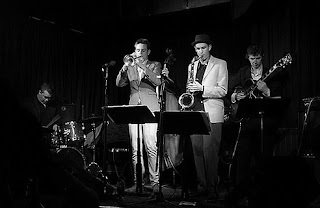 In the meantime you can still see great jazz on their other Wednesday evening venue at The Lescar Sharrowvale Road, Sheffield, S11 8ZF - for example this coming Wednesday 23 March is the Piero Tucci Quartet and Wed 30 March Tim Thornton. 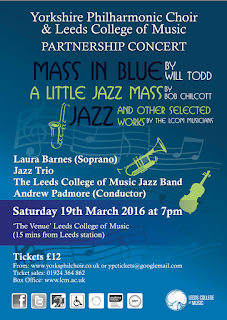 Yorkshire Philharmonic Choir present a Jazz and modern music programme which will feature the YPC performing the ever popular ‘Mass in Blue’ by Will Todd, accompanied by the LCoM Jazz Band and featuring the marvellous voice and stage presence of Laura Barnes (a former LCoM student and Margaret Markland Bursary winner, now making her own successful way as a soloist). 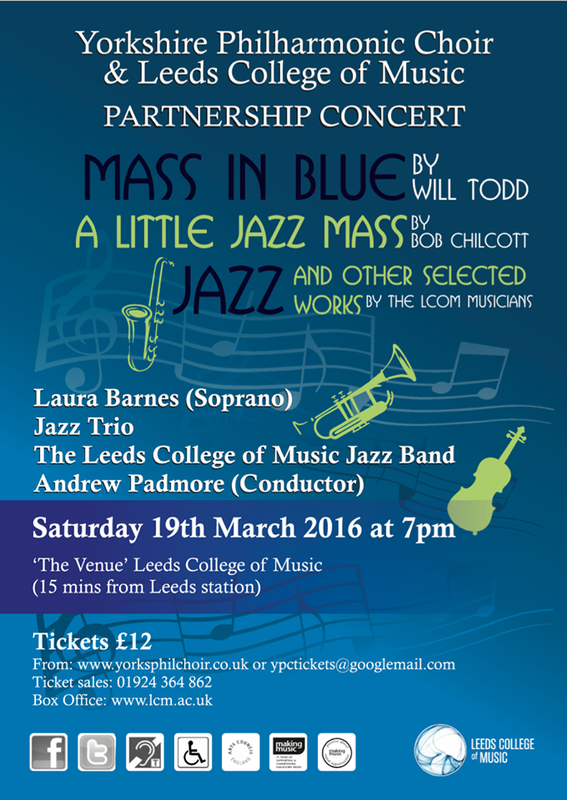 The programme also includes ‘A Little Jazz Mass’ by Bob Chilcott, accompanied by Jazz Trio. The remainder of the programme will feature and the very best of the LCoM’s musicians, soloists, composers and combos in a variety of other items. 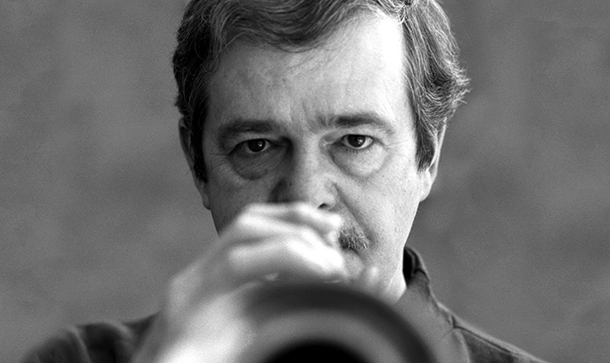 CJO pay tribute to the late Kenny Wheeler, who’s contribution to contemporary jazz will undoubtedly leave a lasting impression. This concert is going to draw from Kenny’s extensive catalogue of original music for large ensemble and feature his classics. CJO will be led by Richard Iles, an associate of Kenny Wheeler, joined by legendary trumpet player Henry Lowther, who performed on the original Kenny Wheeler album ‘Music for Large and Small Ensembles’, and Jazzlines Fellow Lauren Kinsella as vocalist. 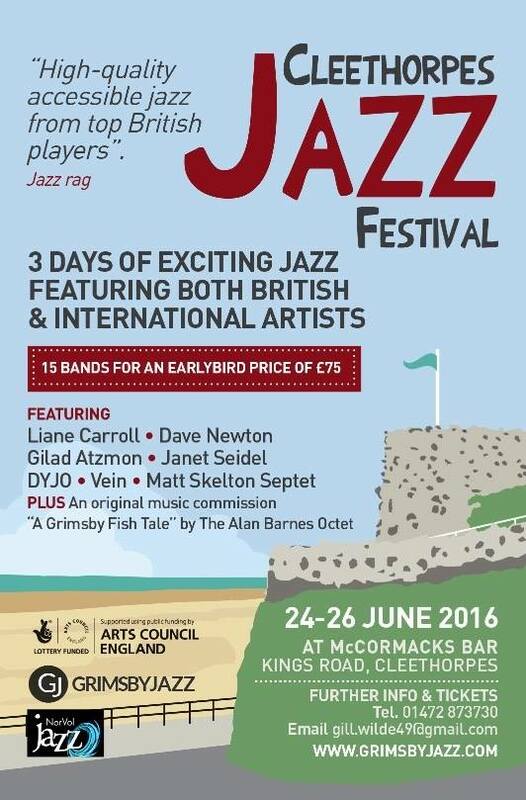 Headline acts so far announced include: Lianne Carroll, Janet Seidel, Gilad Atzmon, Dave Newton, Mark Nightingale, Swiss group "Vein", Roger beaujolais, Sue Richardson, and Matt Skelton Septet. There will also be a special festival piece commissioned by Festival Director Gill Wilde - original music from Alan Barnes "A Grimsby Fish Tale"
Date: Thursday 28 April, From 7:00pm, Stage: 7:30pm to 10:30pm. Bill Lawrence (keyboards) Jon Harvey (bass), Richard Spaven (drums) and percussionist Felix Higginbottom. Venue: The Grand | Tickets: £15 | From: The Grand website. Dave O’Higgins - tenor/soprano saxes, John Etheridge – guitar, Steve Lodder - piano/keys, Sebastiaan de Krom - drums, Ben Crosland - bass. Martin Taylor - guitar. 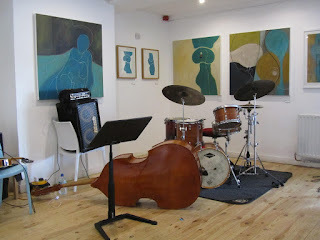 Remi Harris Trio: Remi Harris - guitar, Caley Groves - guitar, Mike Green - double bass. Martin Taylor is “the acoustic guitarist of his generation” and the world’s foremost exponent of solo jazz and fingerstyle guitar playing. His inimitable style, dazzles audiences with a style combining virtuosity, emotion and humour with a strong, engaging stage presence! 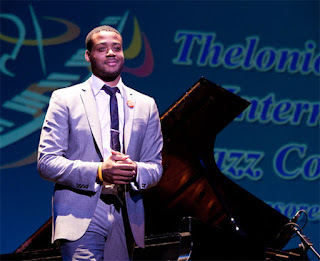 He has a record 14 British Jazz Awards with several albums in the Top 10 in USA and Europe. He is supported at this concert by rising jazz guitarist Remi Harris and his Trio. Venue: The Grand | Tickets: £20 Adv | From: The Grand website. Claire Martin - vocals, Ray Gelato - saxes, Dave Newton - piano. Fresh from her star appearances at the televised BBC Proms at the Royal Albert Hall, Ribble Valley Jazz Festival is thrilled to present Claire Martin OBE alongside her the hugely talented saxophonist Ray Gelato. The Grand | Tickets: £20 Adv | From: The Grand website. Courtney Pine continues to break new ground with a string of highly acclaimed recordings and numerous prestigious Industry awards behind him. For this performance Courtney has stripped everything right back for the most intimate show of his long and celebrated career as he takes to the stage playing bass clarinet accompanied only by fellow Mercury nominee and MOBO Award winning pianist, Zoe Rahman. The 12th Gateshead International Jazz Festival is back next month between 15-17 April. New Orleans trumpeter Terence Blanchard shares a Saturday night double bill with Courtney Pine & Zoe Rahman. Blanchard is a five time GRAMMY winning trumpeter, bandleader and composer who first emerged as a member of Art Blakey’s Jazz Messengers in the 80s. British saxophonist and festival favourite Courtney Pine returns to perform the opening set accompanied only pianist, Zoe Rahman. In a programme of favourite ballads that range far and wide, from Duke Ellington to Chaka Khan, this is chamber jazz of the highest quality. There’s a lot more to discover at this year’s festival including acclaimed jazz experimenter and legendary improviser Evan Parker, returning festival favourite Cuban jazz pianist Roberto Fonseca and award-winning jazz, gospel, blues and soul singing sensation Gregory Porter. World jazz is covered by the eclectic sound of French trumpeter Ibrahim Maalouf and up and coming New York based pianist Kris Bowers whose music combines jazz with hip hop, RnB, electronic, rock and all points in between. The full line-up is at sagegateshead.com/gijf. 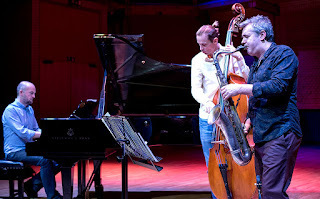 Saxophonist Tim Garland is an undisputed star of British Jazz. He's a Grammy winning composer and saxophone virtuoso who has toured internationally with Chick Corea and others for almost two decades. His latest quartet features the great Jason Rebello on keyboards, the eight string guitar of Ant Law and long-time Garland collaborator, star drummer, Asaf Sirkis. Taking a more electric line than Garland’s previous projects, this super group bristles with virtuosic and soulful energy with a new set, more rhythmically driving than anything Garland has previously created. Gordon Tetley Big Band - still swinging! The Dubrovnik Hotel is a few steps from Lister Park in Bradford and is an elegant hotel in a converted mill house, providing the perfect venue for the Gordon Tetley Big Band with vocalist Michaela Smith to entertain every Monday evening from 8.30pm (except Bank Hols). 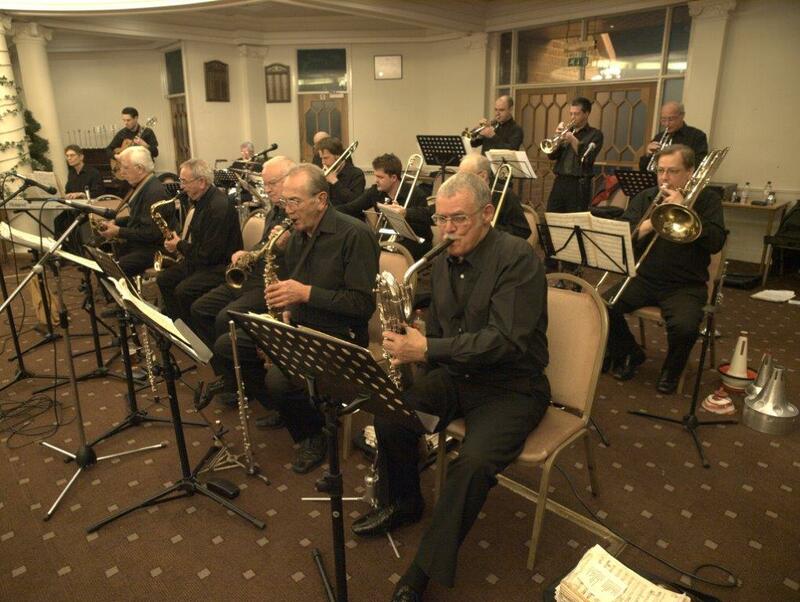 The band have been performing swing, jazz and big band classics for more than 45 years! There is good on site parking available and it's free entry. Come along! Motherese is a band of mothers brought together especially for this year’s Women In Music Festival in Newcastle run by Jazz North East. 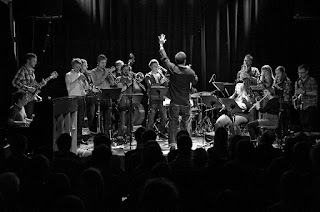 The collaboration involves a core trio of composers and improvisors, using an exciting combination of pre-composed music, structured improvisation and free improvisation, loosely exploring the theme of parenthood. 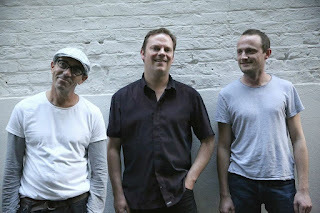 The core trio have several dates booked in various cities, and in each place, they will be joined by local musician mothers, whose impromptu contributions will be incorporated with flexibility, sensitivity and creativity; all necessary attributes for parents adapting and responding to their families’ ever-changing needs. The organic and spontaneous nature of the whole process, in terms of writing, developing and performing the work, reflects our experience of motherhood; we’ve felt very inspired and excited and energised, as well as a little lost and overwhelmed at times. We’re confident that the music will be interesting and challenging and exciting and beautiful and moving at times, and we hope folk will want to come and experience it. Doors open 8 pm, Music starts 8.30 pm. Admission price: £8/£6 on the door. At the Fox and Newt, 9 Burley Street, Leeds LS3 1LD (opposite Park Lane College) Tel: 0113 245 4527. Sproggits is back - with Ed Jones! SPROGGITS is back for another go around at Wharf Chambers, oh boy, and what a lovely line-up we have for you this month. 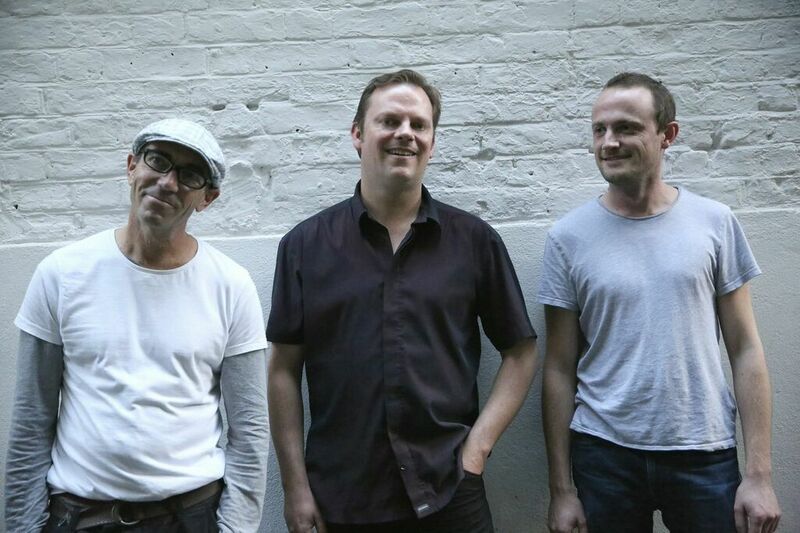 Ed Jones is bringing his trio Bad Ash to Sproggits as part of their UK tour, and for one night only we'll be treated to their collaboration with the one, the only, the Matthew Bourne, fresh from releasing his new record of Moog madness. 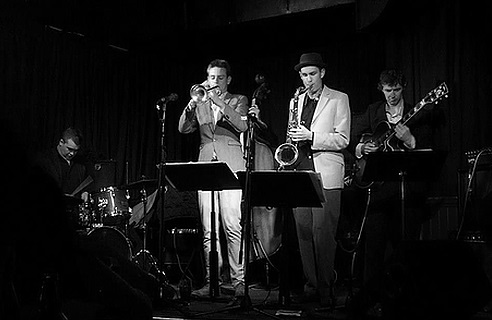 Opening up the night we'll have Joe Simmonds' sextet playing original material inspired by The Art Ensemble of Chicago, Jon Hassell and electric Miles Davis. Surely not to be missed! Also not to be missed is, as always, the Leeds jazz scene's greatest-worst raffle. We'll be announcing our very exciting support band very shortly. 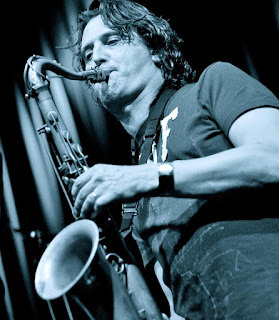 Ed Jones (Tenor/Soprano Sax, Bass Clarinet) - "A formidable saxophonist... he’s an improviser to his fingertips, a player of forceful imagination, and one of the UK’s most distinctive saxophonists" John Fordham, The Guardian. Mark Sanders (Drums) - "...the ubiquitous, diverse and constantly creative drummer Mark Sanders, who always outdoes himself, whether playing with restraint or erupting like a dynamo"
The Joe Simmonds band are seeking to combine contemporary elements with traditions from India and Africa in order to offer a different perspective to people on the function of improvisation in music. Playing original material, the band are experimenting in order to discover a shared experience between the performer and audience inspired by artists such as The Art Ensemble of Chicago, Jon Hassell and electric Miles Davis. Sponsor a key for Inkwell's new piano! Inkwell is a fantastic place - a safe, creative and accessible venue in Leeds challenging the stigma of mental health. 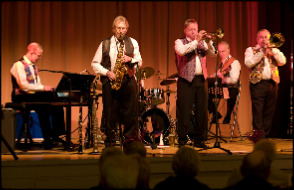 Seven Jazz, the voluntary jazz promoter in Leeds - use Inkwell to put on fortnightly jazz and blues concerts. Artists who have played there recently including Laura Jurd, Zoe Gilby, Steve Philips, Big Boy Bloater and Rommi Smith. They also run the "Inkwell Divas" vocal jazz sessions on Saturday afternoons, jam sessions on Sunday afternoons and their jazz choir on Monday evenings. Seven Jazz want like to buy a Yamaha U3 piano for everyone to use at Inkwell and are putting some of their own funds in to do this. The piano is for everyone to use at Inkwell - but we'd like the best jazz and blues pianists to beat a path to Inkwell's door! So do help us by sponsoring a note (or two). Choose your key(s) and we'll make sure we put your name on Joe Warberton's artistic keyboard he's made to celebrate this event. There are 88 keys for you to choose from - you can donate just £5 for one, or buy an octave for £60. Thanks! Hi - I'm doing this gig to celebrate turning 40! If you could please spread the word about it - that would be amazing. It's a pretty serious band and is going to be a big band playing music that is not the normal type of big band stuff edge of your seat compositions. 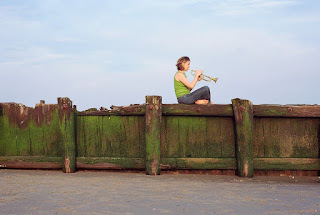 Great article by Kim Macari about the first Norvoljazz tour with Canadian trumpeter Ingrid Jensen coming up this May - put those dates in your diary! In the coming year Sheffield's Music in the Round will be exploring classical improvisation through a number of events. 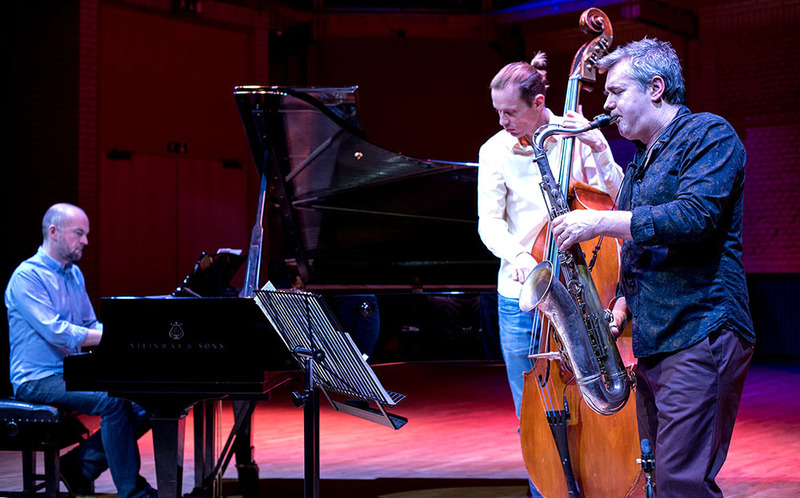 To kick off the series, we invite jazz and classical enthusiasts to a friendly and welcoming workshop in partnership with Sheffield Jazz, run by experts Mark Lockheart, Jasper Høiby, and Liam Noble. 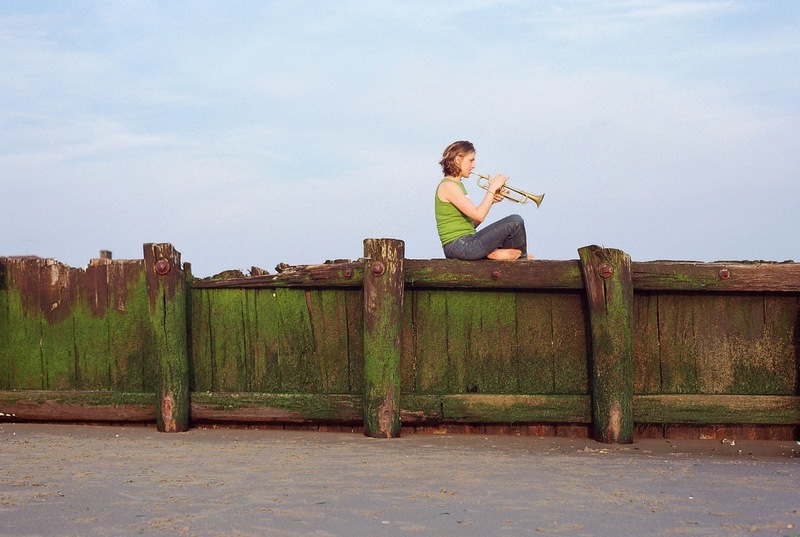 There is no set standard for joining in, so bring an instrument or just your voice and get ready to get creative! 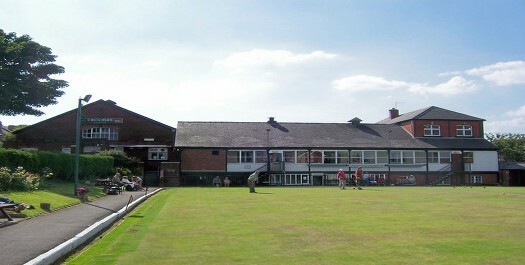 Wilmslow Conservative Club, 15, Grove Avenue, Wilmslow SK9 5EG (01625) 528336 8.30pm £7 on the door. We're looking forward to bringing more international jazz stars to Chapel Allerton in Leeds during March ! Phil Robson is one of the most exciting and imaginative jazz musicians around. He’s found his own way back into the Hammond organ jazz tradition with this his organ trio. You will hear powerful melodies, grooves and burning improvisation all melded together by the formidable blend of Phil’s guitar and Ross’s Hammond, driven by Gene’s dynamic drumming. One of the world’s top drummers, American Jeff Williams cut his teeth backing the likes of Stan Getz, Dave Liebman and Joe Lovano and this quartet features some of the UK’s leading young players plus John O’Gallagher, Jeff’s alto saxophonist from New York where he has been working with artists such as Joe Henderson, Maria Schneider, Billy Hart, and numerous others. Seven Jazz introduces young band from Roundhay School “Mixolydia” 8-8.30pm Roddy MacSween (Keys), Isabel MacSween (Alto), Joe Hayes (Alto/Tenor), and Rayner Keyse (Bass) Alexei Pisacane (Clarinet/Alto) and Jonah Evans (Drums). £7/5 conc, concessions include performers, kids under 16 free. Bring your instrument or your voice and join in, or just watch the fun at our Easter Sunday Jazz Jam! Highly respected, innovative bandleaders in their own right, Malija combines three of the UK’s most exciting jazz musicians – original music with influences from bluegrass, tango and jungle grooves. Høiby described it as “weird, simple, complicated, free, tight, floaty, ugly, beautiful and heartfelt depending on your mood”. Venues: Seven Artspace: 31 Harrogate Road, Chapel Allerton, Leeds LS7 3PD.Tel 0113 2626777. See you soon at Seven Jazz! The sets are of original material, including music from their recent EP Pleasureland and pieces that have just been recorded for a future release. The players infuse driving jazz and latin rhythms with wider enthusiasms for folk and ambient ballads, free improv and the dancefloor. Their tunes explore unusual meters and structures as vehicles for angular and passionate solos, with melodies that tell a story and stay with you. 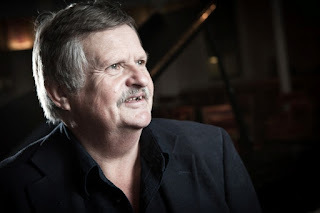 Friday 4th March - Welsh piano wizard Geoff Eales’ trio with Noel Langley trumpet. 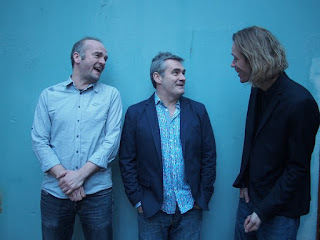 Promoting their new CD “Transience” Geoff is joined by Chris Laurence (bs) and Martin France (dr). Friday 11th March - Classy singer Lee Gibson accompanied by the Chris Holmes trio with John Hallam (sax). You can buy online via the gig’s page on the website www.wakefieldjazz.org at the club or by post to Judith Waterhouse, 3, Bramley Park, Church Lane, Bramley, Rotherham, S66 2RU. Please make cheques out to Wakefield Jazz and include a S A E.